Woodburn to Brooks: that's the distance Lorena Manzo uses to describe the farthest she had traveled from her small hometown in Jalisco, Mexico, by age 16. She would travel that distance many, many times over in the next 25 years en route to her life today as a Woodburn mother of three and lead organizer for Causa Oregon, where her contributions are deeply appreciated. "Lorena represents the best from our community," said Jaime Arredondo, executive director of CAPACES Leadership Institute in Woodburn. "She has over 20 years of experience giving back to the Woodburn community in various capacities. She is a channel for folks to engage in community social issues. If you want to know how to get involve and improve our community, ask Lorena." In Mexico Lorena had never ridden in a motor vehicle, much less an airplane, and she spoke barely a word of English. She was a good student, but she had exhausted the eight grades that were available to her. Even with a scholarship, further studies proved financially unfeasible given the cost of books, the required uniform and transportation to the next grade-level school. She was essentially tapped out of opportunities, which were scant in her small town to begin with; nearly non-existent for women. She ultimately decided to do something that frightened her — travel to the U.S. with virtually no resources to seek new opportunities and, hopefully, education. "I set out with no money in my pockets, only the clothes that I had on. I have only one dream in my head; that I need to go to the U.S. to make a better life for me and my siblings," Lorena said, recalling the decision she made in 1994. "My dream was to be a lawyer or an actress on TV, something like that — a movie star." As National Hispanic Heritage month is celebrated from Sept. 15 to Oct. 15, Lorena reflects on the roads traveled and, especially, the "angels" who helped her along the way. Some memories are difficult. She dabs away tears as certain trials emerge in her memory, unspeakable conditions she endured and can hardly speak of today. She knew nothing about "papers or documentation," much less of the border hassles that awaited her. With the help of others, she made it to the San Joaquin Valley in California where there was plenty of work in the fields: picking nectarines, oranges, limes, mandarins, grapes, strawberries and tomatoes. "You stayed busy, but the money was not so (good), $4.25 an hour," Lorena said. "It was very hard to save when you had to pay the rent, bills, utilities, food, clothing and save something to help my family in Mexico." She boosted her income on her days off by helping her aunt, Tia Emelia, who lived in the region and operated a taco truck. Emelia also arranged for transportation to her field jobs, riding with the family of Ambrocio Sanchez, who would become her husband. Though there was little time for schooling, she did manage to get through part of her sophomore year in high school while juggling multiple jobs. Ambrocio would migrate to keep working, and that took him to Oregon where he would work the berry fields and onion harvests. He eventually found steadier work at the Hollywood Video warehouse in Wilsonville, and Lorena's sister-in-law furnished her with a plane ticket to Portland to join him. "In 1997 I went to Oregon to join him. It was my first time on a plane," Lorena said. She boarded a plane in Fresno, bound to Portland, but with a stop in San Francisco. "I had only a few words in English and I just watched and followed people (off the plane) at the stop. In the airport, people were looking at the screen. I kept thinking 'A donde voy?' — here am I going?" Though the experience was unsettling, it was also one in which Lorena discovered something invaluable — the kindness of strangers. "One of my angels was an older woman (who) came over to me and said 'Hi sweetheart. How are you?' I did not know her, and I could only say 'No speak English'" Lorena said. In retrospect, Lorena realizes the woman sensed her uneasiness and saw that she was overwhelmed. The stranger looked at Lorena's ticket, took her hand and led her on a brisk trek to the other side of the airport and the gate boarding for PDX. She also hailed an airline staff member and explained to her that Lorena didn't speak English and was bound for Portland, ensuring that she would catch that flight. Lorena found the only Spanish-speaking person on that flight, a man bound for Seattle, who helped her disembark and find the luggage area, another entirely new experience. She sat in the airport nearly eight hours, staying close to the escalator so she could watch the streams of people. Her brother-in-law came to pick her up, and Lorena heard her name come over the PDX P.A. system, but she had no idea how to find the lobby to which it summoned her. So she stayed put, and her familiar relative finally appeared on that elevator. After her brother-in-law found her at the airport, the next stop was Woodburn. 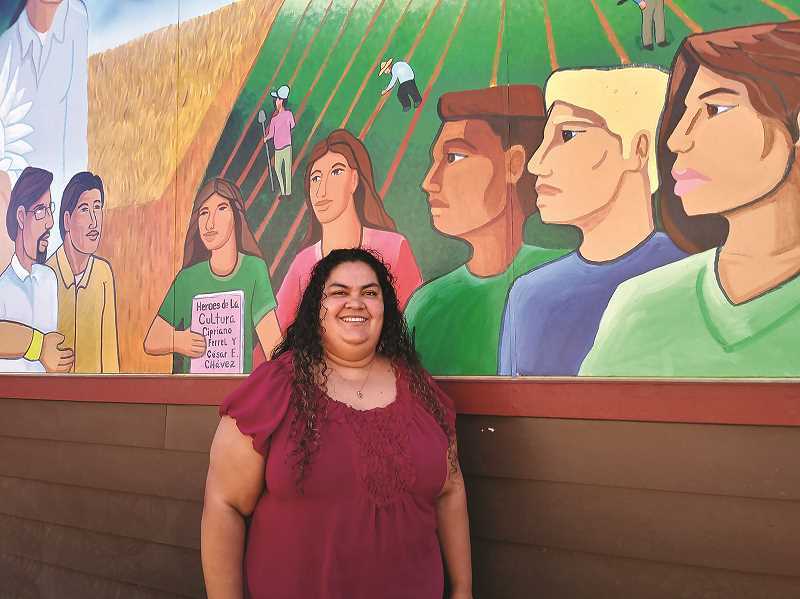 Lorena had embarked on a new journey, one that would entail much more work — in the fields and in the warehouse — working two shifts to make ends meet. At one point she recalled being among 40 people living in a two-bedroom house, and thinking "things could be worse." She related the joy that came when she and Ambrocio could finally rent an apartment. Ultimately they would be able to get their own home. Finding a home is one of the milestones of the past two decades that Lorena cherishes. Others include being accepted into a Chemeketa Community College program under the tutelage of Elias Villegas that enabled her to continue her education and earn her GED. Another milestone, and a "scary" one at that, was learning to drive in 2007. She saluted the encouragement and resources she received from staff at Causa and Pineros y Campesinos Unidos del Noroeste (PCUN). "They helped me; at first I was very scared," Lorena said. "Erica (at Causa) told me I could do more if I could drive. They helped me to be more independent; I was depending on others (for transportation), my husband and my co-workers." Of course, raising her family — Diana, 20; Noe, 16, and Ian, 1 — and today having four generations of family pulling together at home is a warm Woodburn highlight. Over time Lorena would do more, and many of the tasks she's undertaken have been imbued with her experiences. Realizing the key roles other people held in ensuring that she could make a better life for herself and her family provided inspiration. "I started participating in every training that CAPACES (Leadership Institute) offered, because that is my university," she said, also noting volunteer work with Voz Hispana Causa Chavista and PCUN, among others. "I learn from every organization...helping people with citizenship papers, campesino (agrarian) issues, litigation issues. "I can organize people because these people can identify with me." From her earliest days in Mexico to the present day, hard work has been a crucial part of Lorena's life. And it will continue to be. She insists that her children know the same, working with "honesty, integrity and humility." She's delighted to see Diana pursuing a medical field and engaging in practicum experience at OHSU, and Noe working at Little Caesars, but also putting hours in helping with blueberry harvest this year so he can afford a computer. Lorena takes pride in the community she's become a part of, and she works hard to help ensure it remains a vibrant and livable one. She talks about the need for children's activities, from sports to arts and crafts, to maintain positive, healthy environs for the most impressionable in the community. She would also like to help others battle through the travails and setbacks she fought through. "Two issues I would like to see improved: (enabling people) to complete the steps to obtain a driver's license for everyone and for immigration reform. 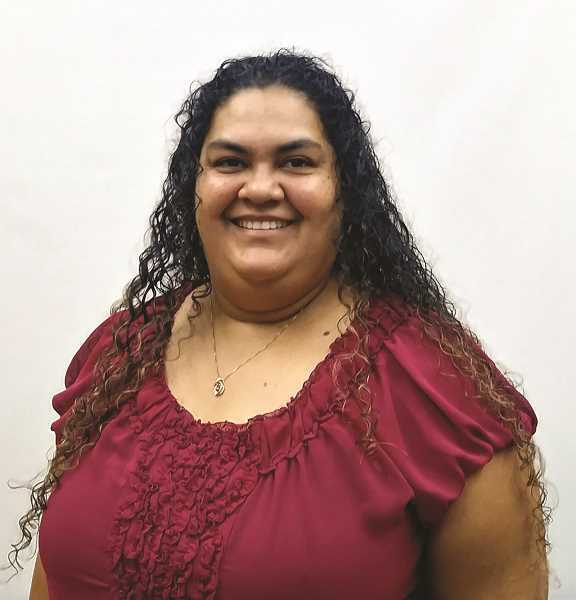 "I want to continue working in this organization (Causa) to improve for health and safety of the community, and I want to be part of this community. I want to live in Woodburn." A part of that is being there for those who need her. "I answer my phone 24/7 because I remember when I needed it (help). I am fortunate to have the family I have — they understand the job that I am doing," Lorena said. She feels it's not just community, but karma. "Good people helped me, and I will never see them again. I call them my angels."